The device designed for all users of notebook computers. 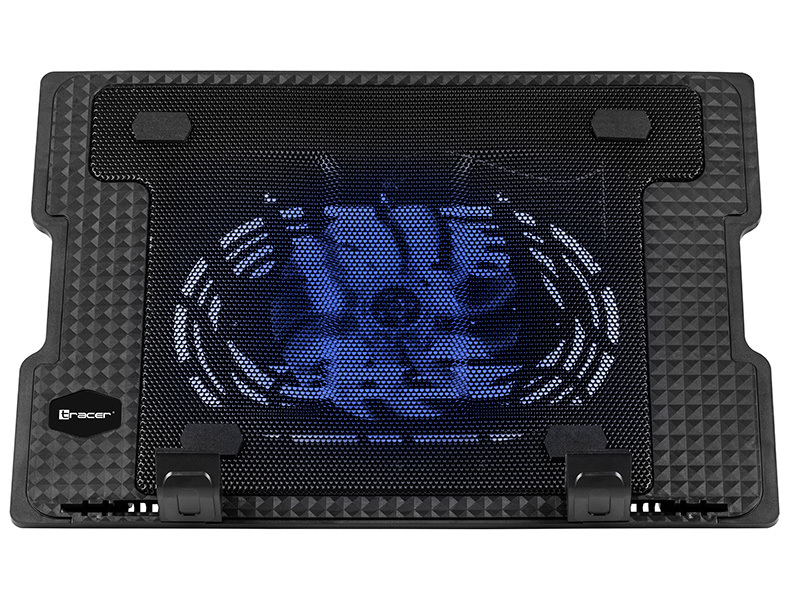 Built-in large quiet fan highlighted in blue. A separate button for switching on and off. Additional knob to adjust the airflow rate. Suitable for any size computer from 12 "to 15". All this is powered by USB cable - requires no external power supply. 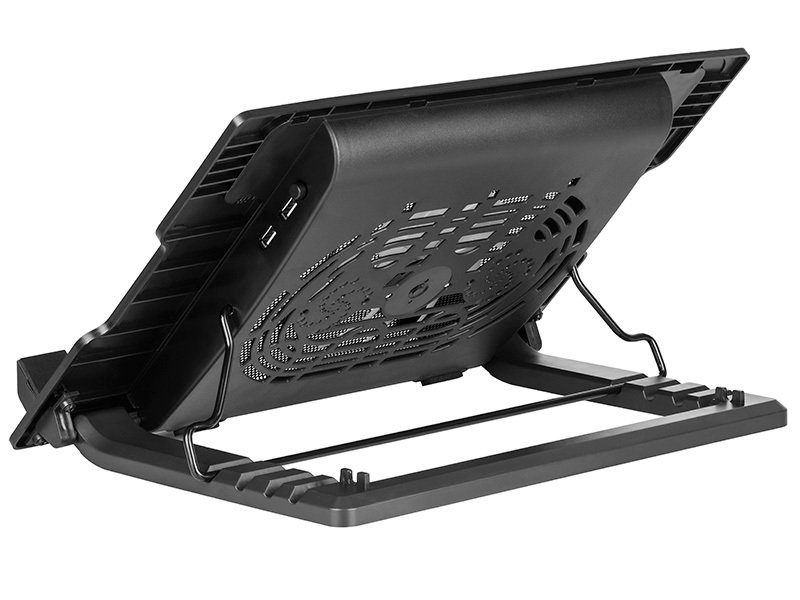 Lightweight and durable construction of plastic with metal grille is very resistant to falls and easy to carry with a laptop. Cooling station TRACER GAMEZONE Turbo 17"
Tracer TURBO GAMEZONE gaming cooling station with four fans and anti-skid arm, metal platform draws heat away from laptop. Compatible with laptops up to 17", matching most laptops in the market. Extra USB port and wind speed switch design, built-in dual-USB hub allows for connecting more USB devices. Adjustable height setting, comfortable for natural point of view. 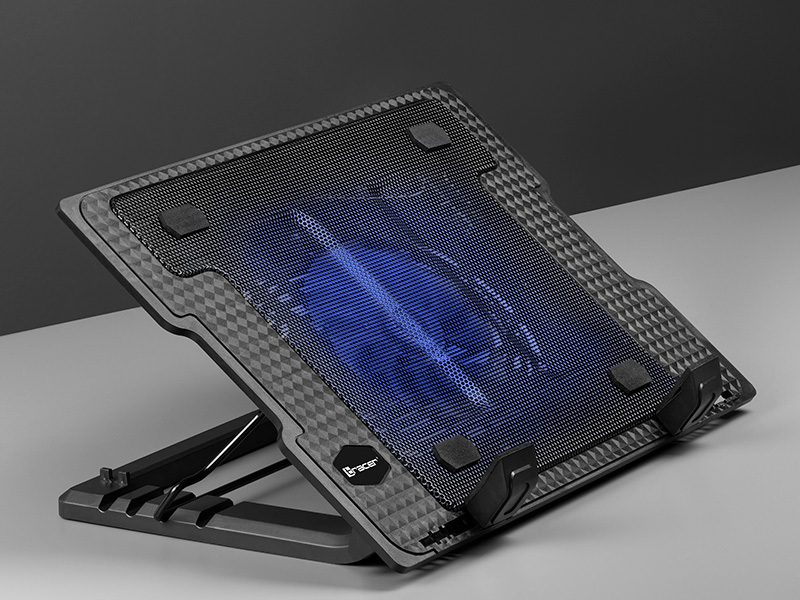 Blue LED light offers a fashion and cool gaming/operating experience. The high-quality multi-directional metal mesh provides your laptop with a wear-resisting and stable laptop carrying surface. 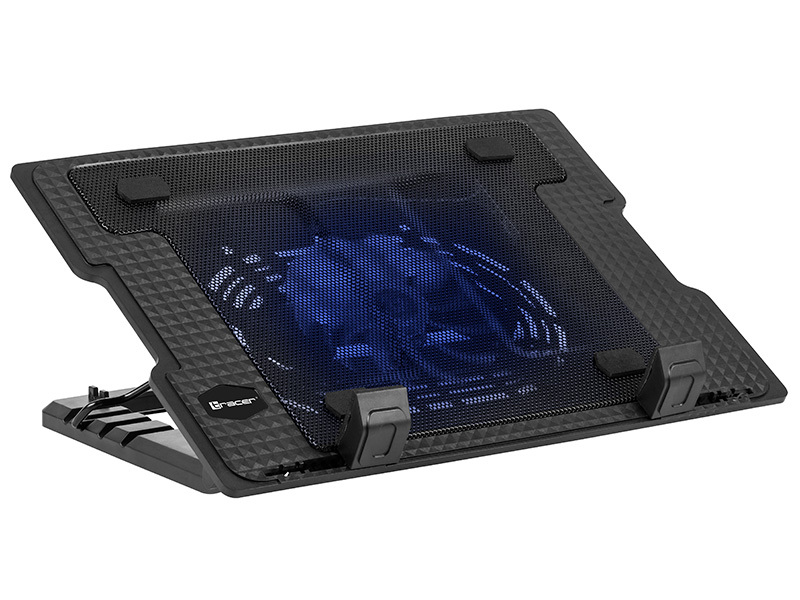 Full range metal mesh optimizes the air flow to rapidly dissipate the huge amount of heat generated in the laptop housing. Anti-slip design helps keep your laptop in place. Cooling station TRACER Iceblade 17"
The device designed for all users of notebook computers. 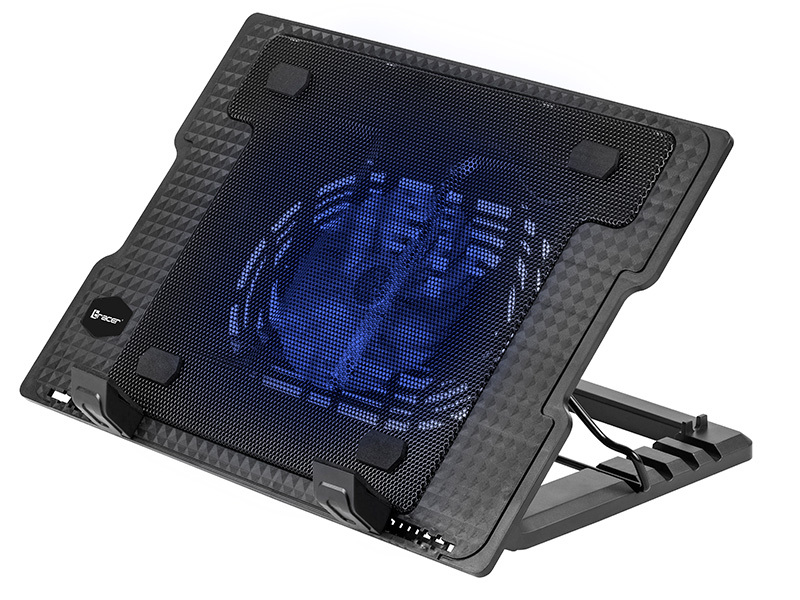 Built-in large quiet fan highlighted in blue. A separate button for switching on and off. Additional knob to adjust the airflow rate. Suitable for any size computer from 12" to 15". All this is powered by USB cable - requires no external power supply. Lightweight and durable construction of plastic with metal grille is very resistant to falls and easy to carry with a laptop. Additional USB port to power small devices. 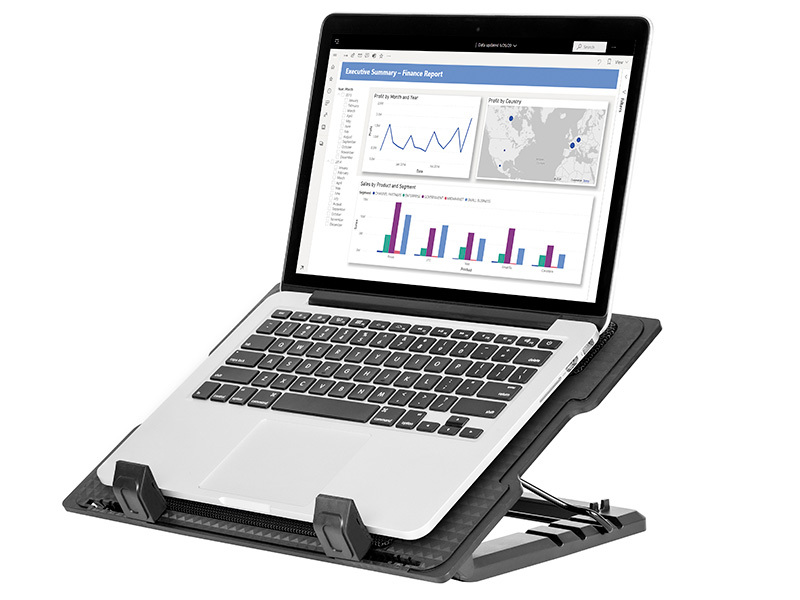 Ability to set a laptop on a higher elevation for better posture while working.